I Am I will release their debut album, entitled Event Horizon on May 26th. Written by Theart and Jacob Ziemba, and produced by Roland Grapow (HELLOWEEN/MASTERPLAN), "this album is an absolutely blistering slice of heavy rock liberally infused with Theart's passion, energy and soaring vocals," according to a new press release. Event Horizon will be the first heavy metal album to be released on USB packaged in a CD style case with full artwork, and will be available for pre-order very soon from the official I AM I website. ZP Theart comments: "My whole career has been leading up to this point and I've never been more proud of anything in my life, this album will definitely live up to it's name." The debut promo video for the song 'Silent Genocide' will be released at the end of April. 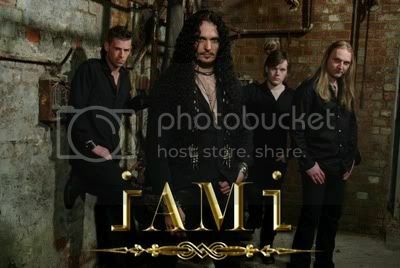 I Am I will make their live debut on Sunday, May 27th at O2 Academy in Birmingham, England. Tickets will be on sale via the band's official website. More on I Am I at Facebook.